CCIE is the ultimate dream of any candidate in the networking industry. And Network Bulls, Gurugram, has always been known for delivering world’s best CCIE results in terms of 1st attempt success rate. In India, there are around 10,000 Cisco institutes in which 50 claim to offer CCIE training. And in these 50 CCIE Training Institutes of India, Network Bulls tops the list because of its unbeatable CCIE results. 2 Students of Network Bulls recently cleared CCIE Security Version 5 exams successfully and the best part is – in the 1st attempt. It's all because of the facilities and training of NB which is unmatchable and we will explore it below. How Network Bulls Keeps Delivering Best CCIE Results? Network Bulls, Gurugram, has World’s Largest Cisco Training Infrastructure. Being a Cisco Gold Partner Company, NB gets latest Cisco devices at high discounts from Cisco Systems along with fastest possible device delivery. The institute has World’s most dynamic and biggest team of CCIE Certified Trainers. NB never sends its students directly if CCIE exam version changes. We send our lab mentors first to understand the latest exam patterns and technologies to modify the training methodology, accordingly. Mentors then train candidates according to latest Cisco blueprints. Students get unlimited CCIE Rack Access to boost their confidence and excel their practical knowledge. Though, NB is the only Institute in India to offer unlimited rack access. So now we know why Network Bulls should be your top choice for Cisco CCIE Training in India. We are being the leaders in Cisco Training Industry came up with the first ever CCIE Security V5 Rack in India. You’ll get amazed to know that NB is still the only CCIE Training institute in India to offer fully-functional CCIE Security V5 Racks with all updated equipment. Launched on February 1st, 2017, no Indian fresher had passed CCIE Security V5 Certification till now. 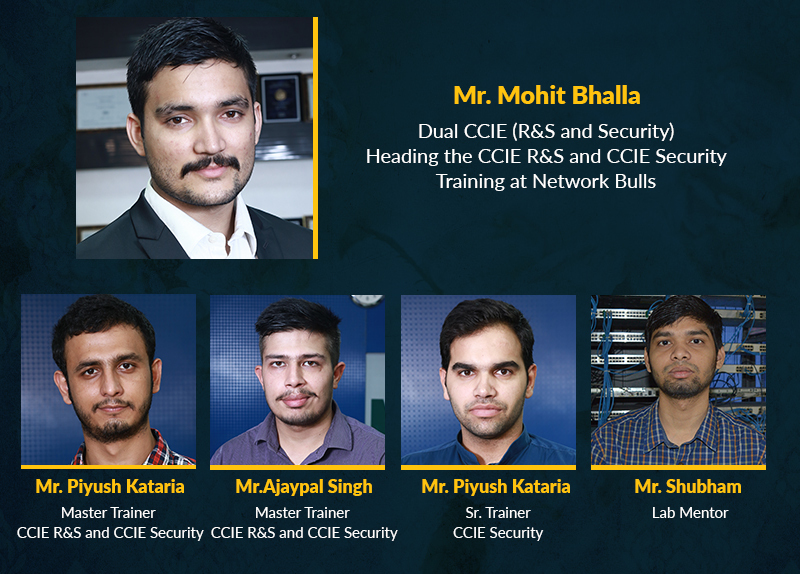 Infact till now only 4-5 candidates have passed their CCIE Security V5 lab exams out of which 2 are students of Network Bulls and both are fresher candidates. Being the leaders in Cisco Training Industry in India, NB has delivered the first-ever CCIE Security V5 results for freshers and that’s because of its comprehensive and innovative training methodologies. Can you imagine fresher passing CCIE Security V5 lab exam in 1st attempt from Network Bulls, while experienced candidates worldwide are failing because of lack of practice and less knowledge of next gen future technologies of Version 5 exam? 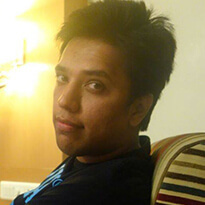 “ Kunal was a fresher student of CCIE Security Integrated course at Network Bulls, who completed his training few months back and then started preparing for CCIE Security V5 lab exam from Network Bulls. He at Network Bulls learned how to ping last year and now he is a CCIE with his hard work and determination. 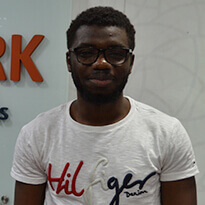 He passed his CCIE Security V5 lab exam in 1st attempt"
“Hi friends, myself Ibrahima and I came from Senegal, Africa. After research, I joined NB for CCNP Security & CCIE Security Written + Lab Courses. My trainers were very experienced and supportive. Visa, accommodation and meals, all were taken care well. Their accommodation and cafeteria are very good. Best part at NB is their world-class labs, where you’ll get access to live racks and real Cisco devices. I have successfully cleared my CCIE exam and achieved #58192 on the first attempt. I must say NB is a Perfect CCIE institute for networking aspirants." Network Bulls, India is the only networking academy which provides CCIE Security Version 5 Certification Training with the in-house availability of Next Generation Cisco Firewalls with Firepower, Iron Ports, IPS Systems etc in the labs. NB delivers the highest passing rate and produces record-breaking CCIEs results. 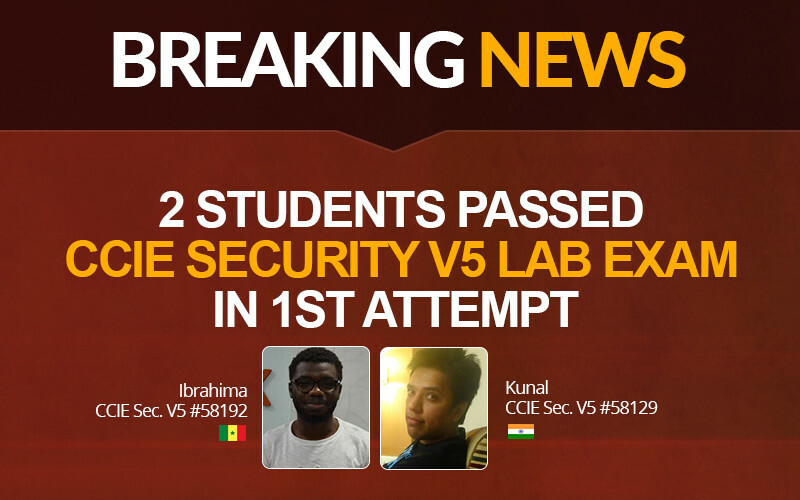 With Mr. Kunal and Ibrahima passing CCIE Security V5 exams, NB became first ever Cisco training company in India to produce CCIE Security V5 results. Known for its world-class labs, 24x7 lab access and the biggest pool of CCIE Certified trainers, NB has been trusted by students and professionals from 40+ countries. Aiming for CCIE Security Lab Exams? Enroll @ NB, For more details call us at our toll-free number 1800-313-2545. International students can contact us on +91-8745885377.